The Norse God of winter is coming back to Golden! 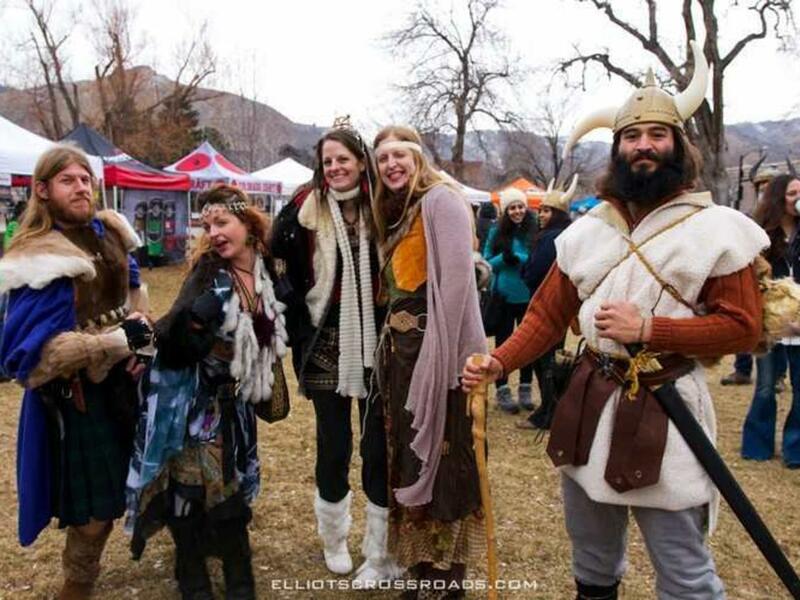 The second-annual UllrGrass music and beer festival will be held in the Rocky Mountain foothills of Golden, CO Friday January 29 – Sunday January 31, 2016.It’s a magical weekend when the Norse God of snow comes to our little western town to raise his drinking horn to craft beer, great music and a crowd that knows how to have fun in winter. The event is held in at multiple indoor and outdoor stages in downtown Golden from Parfet Park to the Buffalo Rose. UllrGrass will feature more than 20 bands and performing artists as well as dozen of Colorado craft breweries. Daytime music will be held in Parfet Park and the night shows will take place at the Buffalo Rose. The event includes something for nearly everyone kicking off with the UllrGrass Parade, followed by a festival complete with premier musical acts from Colorado to Nashville, a kids activity area, food vendors, artisan vendors, musician workshops and more. Golden is a vibrant, active, healthy community with a love of the outdoors and UllrGrass provides an opportunity to get outside and enjoy our town – even mid-winter. Taking in the views from Parfet Park of the unique natural beauty of Golden while listening to the toe-tapping rhythm of a bluegrass band is awe-inspiring. Headliners this year include the acclaimed artists Vince Herman & the UllrGrass All-Stars (featuring Andy Thorn, Luke Bulla, Bill McKay, Tyler Grant, Sam Grisman and Silas Herman), Head for the Hills, Kyle Hollingsworth Band, Coral Creek, Luke Bulla Band, Rapidgrass Quintet, The Railsplitters, Caribou Mountain Collective, Gipsy Moon, Chain Station, Uptown Toodeloo String Band, Delta Moon, Thunder and Rain, Timber and more. As a volunteer-driven not-for-profit event, UllrGrass brings the entire Golden community together to raise money for philanthropic partners Plan International and the Coral Creek Music Project. UllrGrass tickets are on-sale now at www.ullrgrass.com and children under 12 are free to attend events in Parfet Park. For frequently asked questions and a list of prohibited items, click here. Dogs are not allowed.